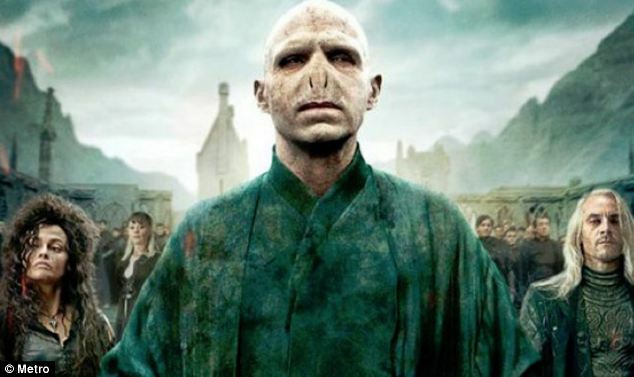 Does pretending to be Voldermort really make you bad ???? The news media is awash today with reports of a study that demonstrates that playing a ‘baddie’ in a video game can have a impact in your behaviour in the real world. From the Daily Mail in the UK to The Indian Express ‘Know Thy Avatar: The Unintended Effect of Virtual-Self Representation on Behaviour’ has had huge media coverage. (Sadly the original article is behind a paywall, but a decent summary can be found here). What’s interesting about this story, from the rational thinking perspective, is that their is very little wrong with the science, in that it’s very concisely reported in a highly reputable journal. It does however serve as a nice example for getting students to think about drawing conclusions from studies, and whether studies really have the ‘real world’ implications that the popular press suggest. In the case of this study, what it demonstrates is that the psychological impact of playing either ‘Voldermort’ or ‘Superman’ in a video game for 5 minutes lingers long enough for those playing the baddie to decide to give a future participant a dose of chilli sauce to eat (The ‘Baddie’ response), rather than some chocolate to eat (The ‘Goodie’ response). 1) Is it really that surprising that role-playing has an impact on behaviour immediately after the role-playing ? I’m thinking about a Shakespearian actor playing Richard III. It seems entirely plausible to think that playing that role for 3 hours per night might impact on an actors behaviour the minute they left the stage. 2) Isn’t the really interesting question ‘How long does the impact of playing Voldermort hang around for ? The authors of this study have demonstrated clearly that role playing has a significant effect on behaviour immediately afterwards, but surely what is really interesting is whether that role-playing has any longer term impact. If it was to be found that the impact dissipates after 5 minutes, it would still be an interesting piece of work, but hardly ground breaking.